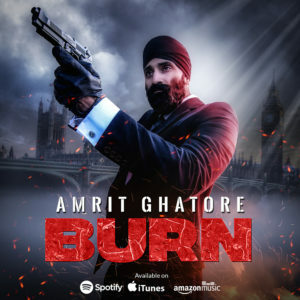 LONDON, ENGLAND, UNITED KINGDOM, January 31, 2019 — Having spent the last few years honing and developing his sound of bold and cinematic RnB, West-London’s Amrit Ghatore now returned with his latest single ‘Burn’, a release that brings together his cultural and religious heritage under the guise of new-wave pop music. Copyright © 2015 AMRIT GHATORE. All rights reserved.